Total LifeSafety Corporation offers its employees a comprehensive benefits package, including health, dental, 401K, and vacation, and paid holidays. Submit your resume to today in order to join one of the fastest growing companies on the Treasure Coast. Please email resumes with contact information to lesley@tlcfireandsecurity.com. Be sure to include the position you’re interested in as part of the email Subject. Pay for all positions is based on experience. Must be dedicated, hard working, and punctual. Must possess a valid Florida’s driver’s license, have 5 years experience,must be able to install, inspect, or service fire alarm systems, must have extensive programming knowledge of fire alarm systems, must have excellent communication skills and the ability to work within a team, this also includes a high level of professionalism when interacting with customers, FASA/BASA a plus. Applicants are required to pass a drug screen and background check prior to hire. Must be dedicated, hard working, and punctual. Must possess a valid Florida’s driver’s license, able to lift 50lbs, knowledge of current state & local Code and Regulatory Requirements, at least 5 years experience. Applicants are required to pass a drug screen and background check prior to hire. Must be dedicated, hard working, and punctual. No experience needed. Will train the right person. Must possess a valid Florida’s driver’s license, able to lift 50lbs, knowledge of current state & local Code and Regulatory Requirements is a plus. Applicants are required to pass a drug screen and background check prior to hire. 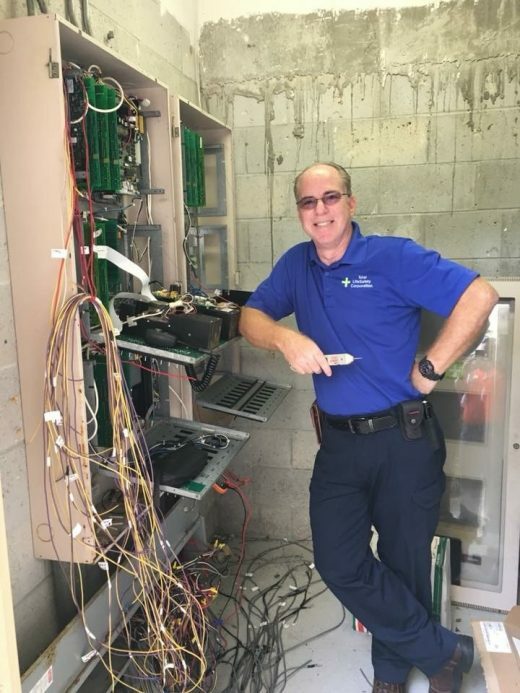 Total LifeSafety Corporation’s fire alarm technician, Jose Gonzalez, upgrading an old Simplex System to a new Fire Lite panel. Check out the before and after pictures of his latest work! 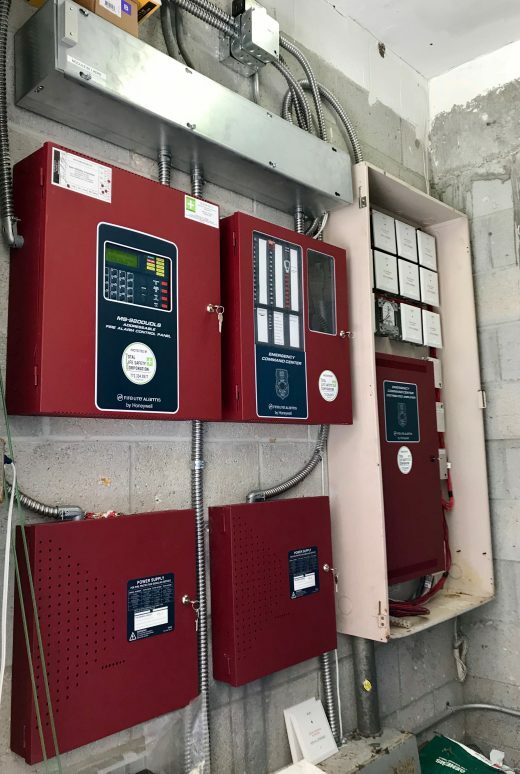 Total LifeSafety Corporation’s fire alarm technician, Jose Gonzalez’s final product after upgrading an old Simplex to a new Fire Lite system. 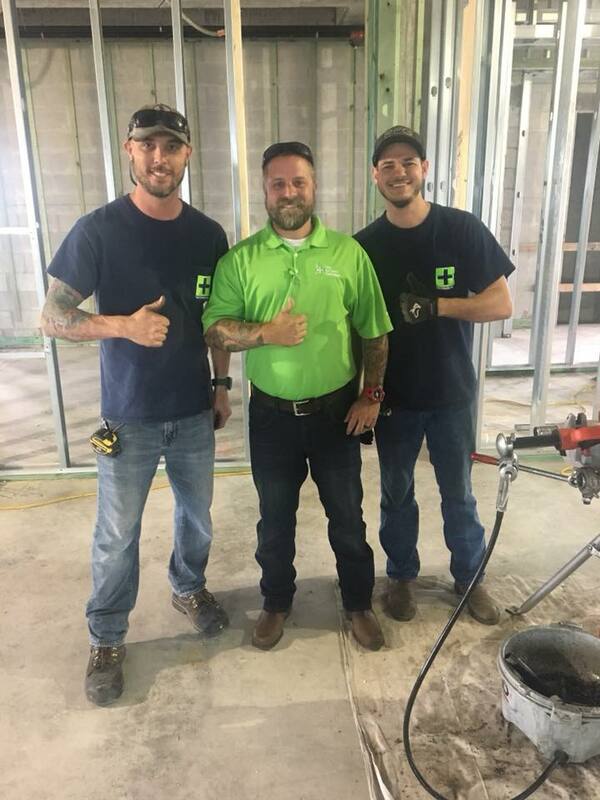 Thomas Crowder, Jeremy Brett, and John Mayer posing for a picture at the new Sharfie Center in Jensen Beach. 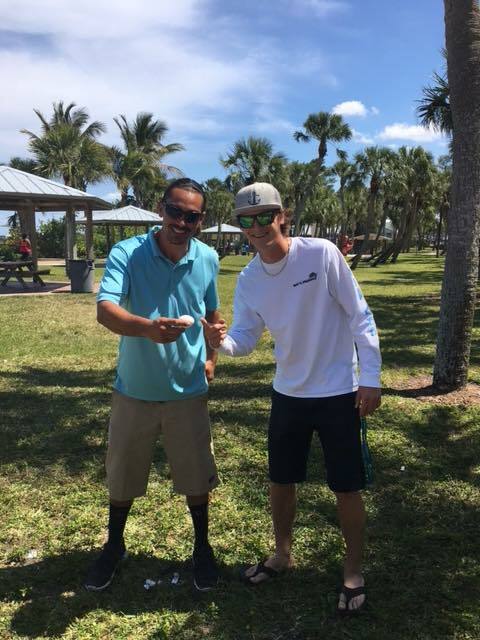 Phil Trofibio, and Dale Cato excited they won their 3rd team-work game in a row at our annual Family BBQ. 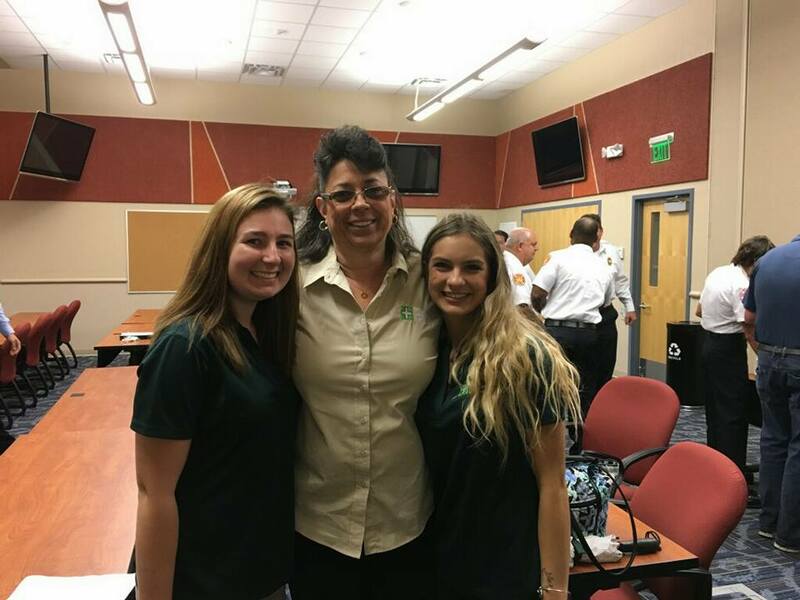 Michelle Zakarian, Lesley Nacarato, and Brianna Coffey, at Palm Beach County’s Fire Marshal’s meeting in May 2018. 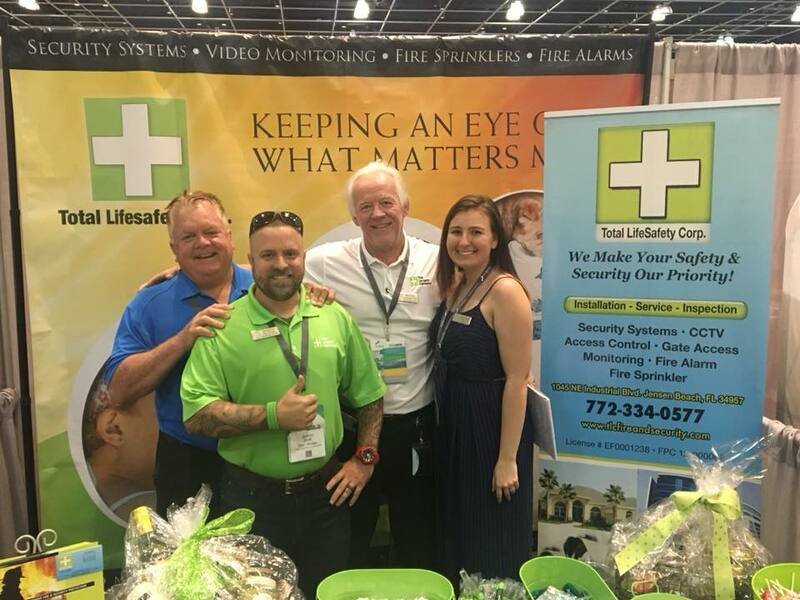 Jay Booth, Jeremy Brett, Mark Farley, and Michelle Zakarian at First Service Residential LEADS Conference at the Diplomat Hotel, in Hollandale Beach, FL in March 2018. 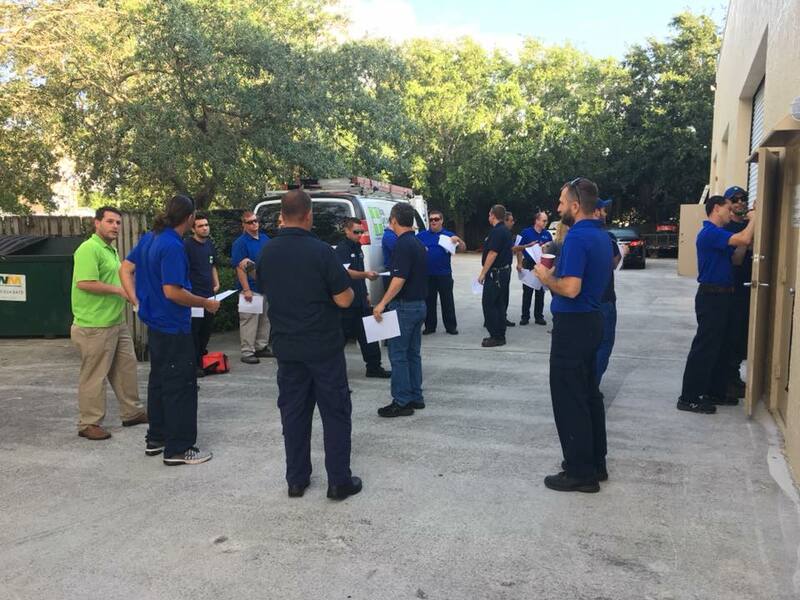 Total LifeSafety Corporation’s fire sprinkler and fire alarm team during their monthly “Toolbox Talk” meeting. 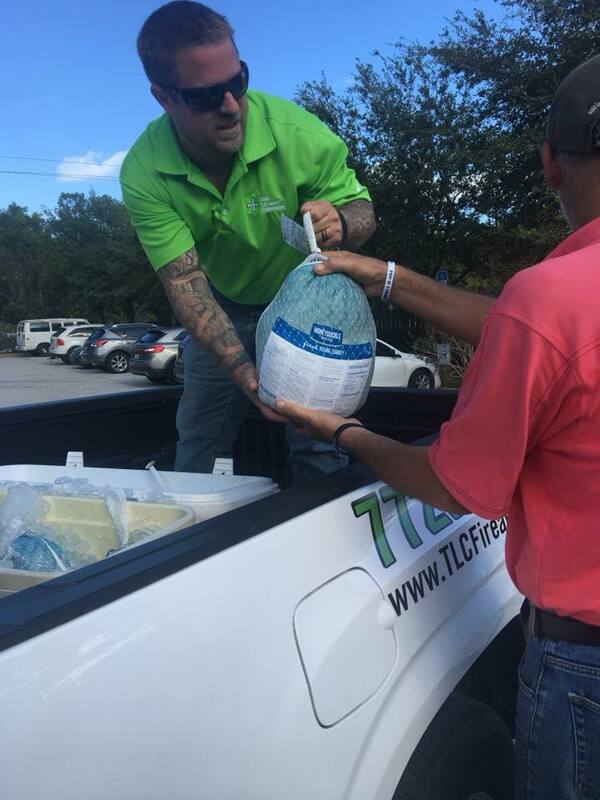 Jeremy Brett donating turkey’s and ham for thanksgiving at the local homeless shelter, Love Hope and Action in Stuart, FL. 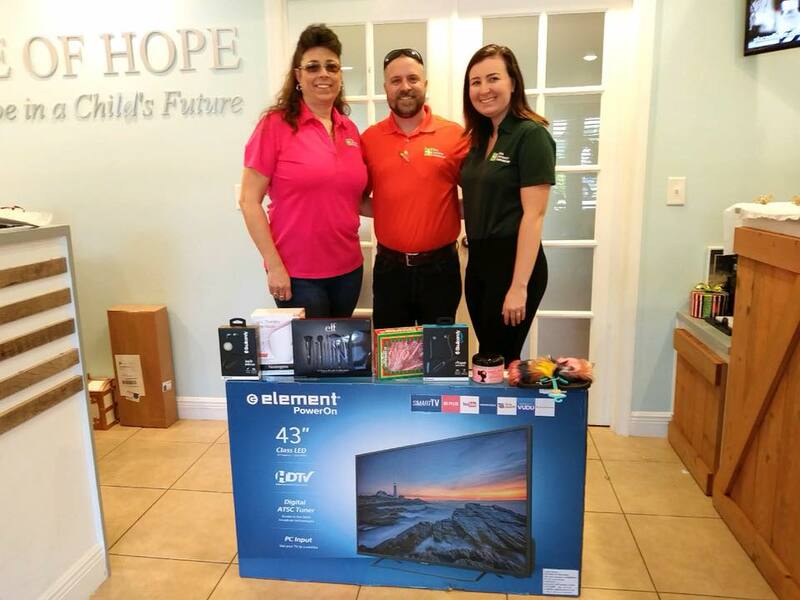 Lesley Nacarato, Jeremy Brett, and Michelle Zakarian, donating Christmas gifts to foster children at Place of hope in Palm Beach Gardens.